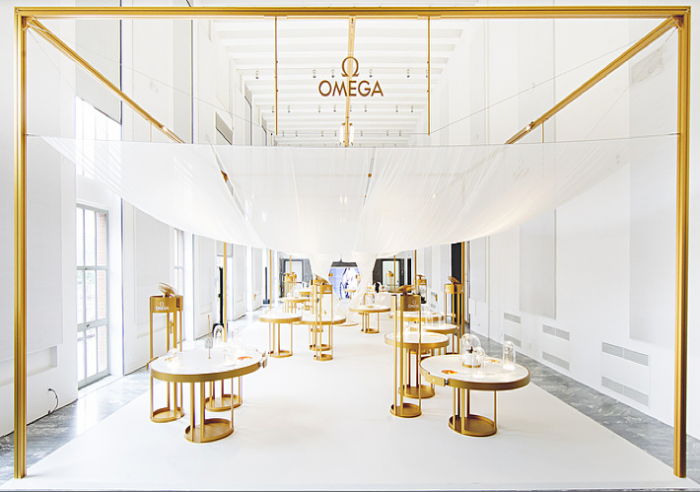 Omega opened a brand new exhibition at Milan’s Triennale Design Museum this week entitled Her Time, highlighting over 100 years of the brand’s rich history in women’s horology. This is the first time that Omega has put together such a collection of historical timepieces for women, surprising even the most ardent Omega fans, including its brand ambassador, Nicole Kidman. 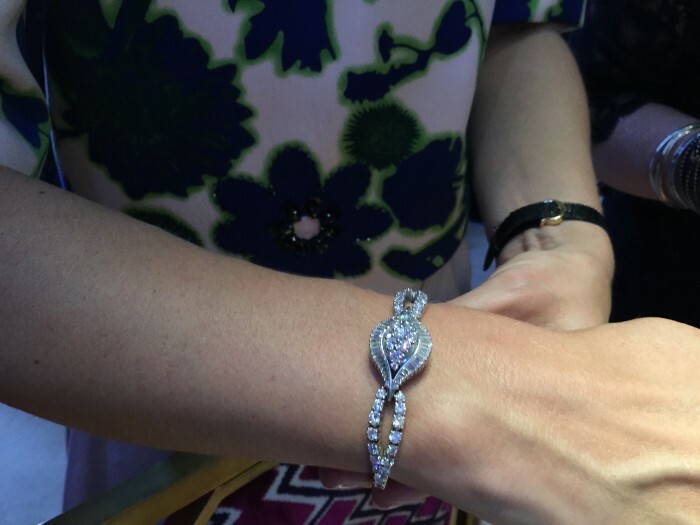 “I went to the exhibit today, which was absolutely beautiful and well worth a visit…the watches date back to 1902, which is astounding, I did not know that in terms of the history,” she shared at the gala dinner to celebrate her tenth anniversary as Omega’s brand ambassador. A look at Omega’s watchmaking past reveals a fascinating insight into women’s fashion statements over time, from the decorative 19th century Lépine pendant watches; to the secret jewelry watches of the 1950s that allowed women to discretely view the time without anyone seeing; and the futuristic watches of the 1970s with their geometrical cases. One of Omega’s vintage secret watches on display during the gala evening. The exhibition includes an extensive selection of vintage timepieces, but also amusing historical advertisements from yesteryear with claims such as “The watch the world has learned to trust—Some day you will own one”, or “With Love…from a Man who has reached the Top,” and “For women whose rich and active life calls for nothing less than an automatic Omega high-precision timepiece.” Of course, most of the claims remain true; apart from the fact that the majority of Omega’s female customers today are no longer waiting for their husband’s to reach the “Top” and are purchasing their watches themselves! “More and more women are buying their own watches. This is the feedback that we have been having from our stores, which I think is a very good thing,” shared Omega’s CEO Stephen Urquhart. 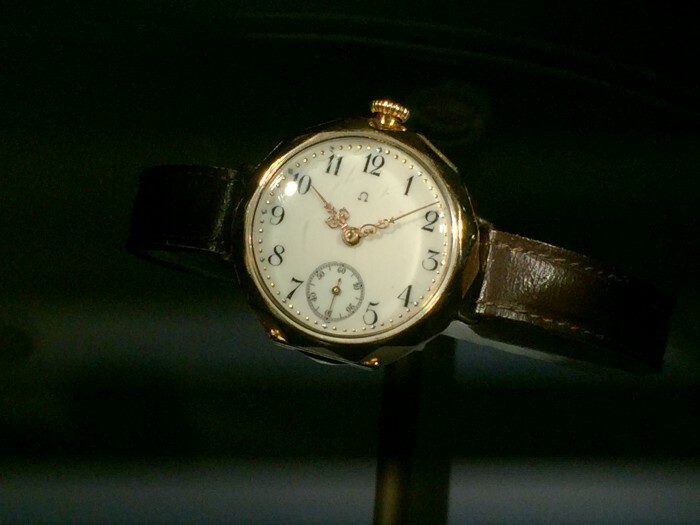 Omega’s first wristwatch created for women, 1906. During the exhibition Omega also launched a brand new online diary entitled Time For Her in collaboration with Garance Doré, the renowned illustrator and fashion blogger from France. This is a non-commercial element to the Omega website—www.omegawatches.com/timeforher—that celebrates women in a variety of different ways and will continue with guest editors every month or so, showing how the brand is committed to enhancing the connection with its female clientele. Garance Doré at Omega’s Her Time exhibition at Milan’s Triennale Design Museum. 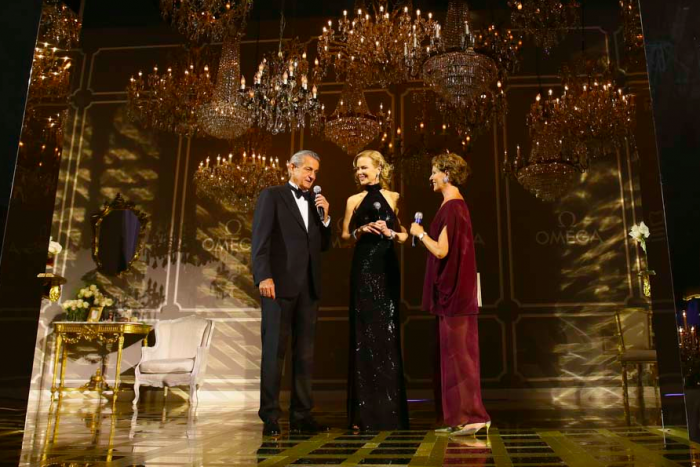 The highlight of the event was, without a doubt, the arrival of Nicole Kidman who had just stepped off the stage of London’s Noël Coward Theatre, in her role as Rosalind Franklin in Photograph 51, to join Omega on their stage at the Palazzo del Ghiaccio. Ever the perfect ambassador, she seduced the crowd with her open and friendly nature, extensive knowledge of the brand, and elegance. The Australian actress admitted to falling in love with a couple of timepieces from the 1950s showcase, so we may well see some re-editions in the future. “Nicole thought the watches were unbelievable. We are looking into some ideas, maybe to have a little collection of cocktail watches, or maybe some pieces just for the red carpet or for exhibition purposes,” explained Urquhart. 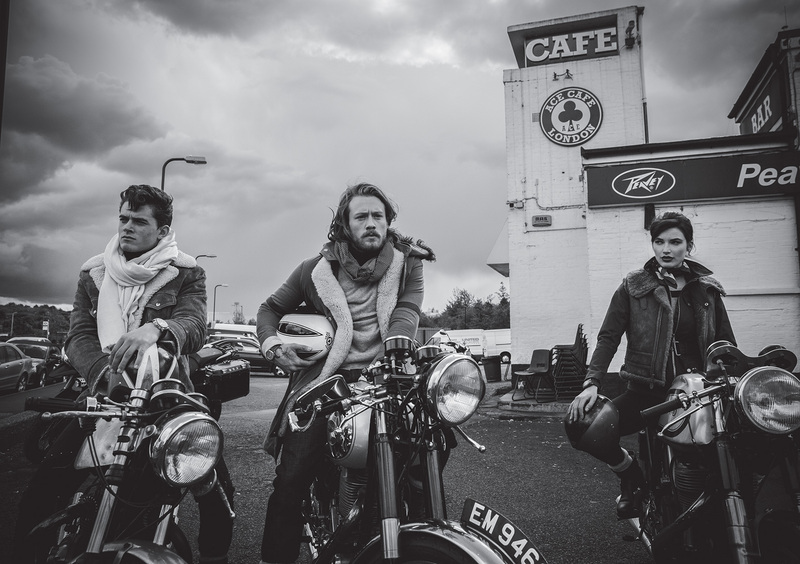 The exhibition will now travel to the United States before continuing to other cities around the world. Stay tuned to Revolution’s British and Swiss December issues to read the full interview with Nicole Kidman and if you are in Milan, don’t miss a visit to the exhibition, which runs until September 25— www.triennale.org —and if you miss this date, the Omega Museum in Switzerland’s Bienne is open all year round—www.omegamuseum.com.